Surgery with or without insurance coverage is within your reach. 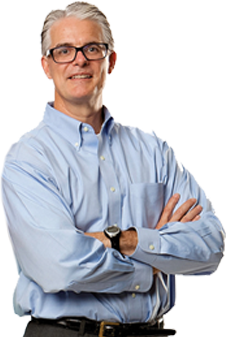 Learn about Dr. Clark’s Center for Weight Loss Success. We make weight loss effective, fun and affordable. Weight Loss Surgery, Education, Support, Nutrition & Fitness under one roof! Experience, compassion and a team committed to your success. Considering Weight Loss Surgery? You’re in good hands. 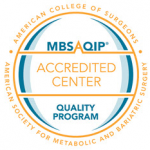 Dr. Clark is one of the most experienced bariatric surgeons in the world having performed over 5,000 weight loss surgeries and one of a select few bariatric surgeons who is also board certified in bariatric medicine. He developed the exclusive Weight Management University for Weight Loss Surgery™ and Weight Management University™ programs so people not only lose weight but understand how to keep it off for life. If you are considering weight loss surgery, simply click an option below and let Dr. Clark answer all of your questions! After Weight Loss Surgery, it's easy to veer off course and feel like you're losing control, but it's never too late! Back on Track After Weight Loss Surgery Online Course - just $49! Whether it's been 6 months or 6+ years, you CAN get back on track. Get started today! "A must-read for anyone considering weight loss surgery." Special offer - get a free video for every chapter! 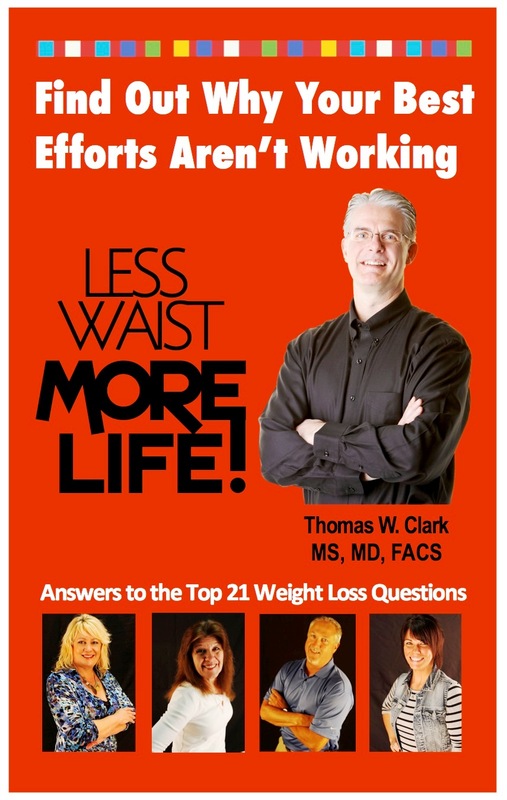 Leading bariatric surgeon and weight loss expert, Dr. Thomas W. Clark, answers your questions about weight loss surgery and delivers a plan for success in his BEST-SELLING book, Less Weight...MoreLife, available electronically or in paperback at Amazon.com. Preparing for Weight Loss Surgery, Your Guide to Ultimate Success! 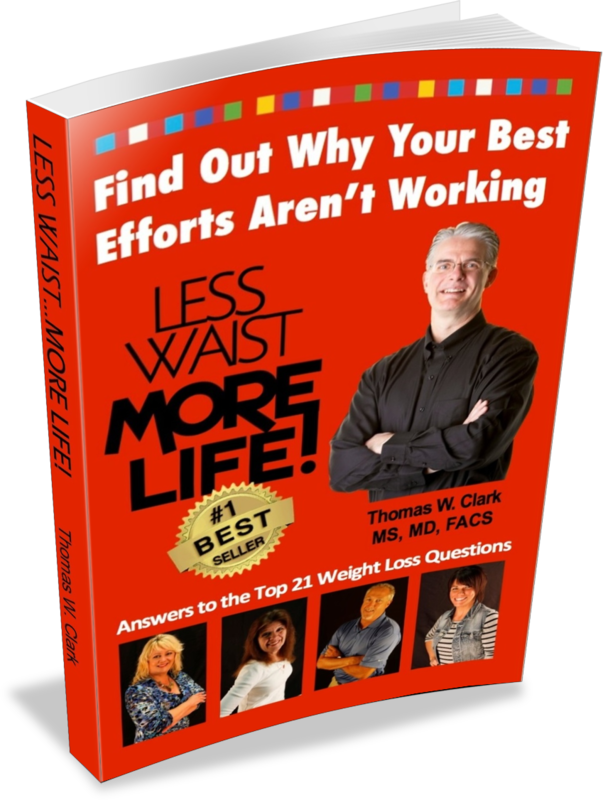 Dr. Clark's Latest Book Offers Non--Surgical Strategy for Quick Results and Long Term Weight Loss Success. In Book 3 of the MORE LIFE! Series, one of the most experienced Bariatric Surgeons in the United States provides you with answers to the top 21 most baffling weight loss questions. This non-surgical approach to a healthier lifestyle clears up some common weight loss myths and offers a plan for long-term results. Includes 30 Tried and True Weight Loss Tips You Can Begin TODAY! and 21 free videos that accompany this book. Have YOU Lost Weight With Us?